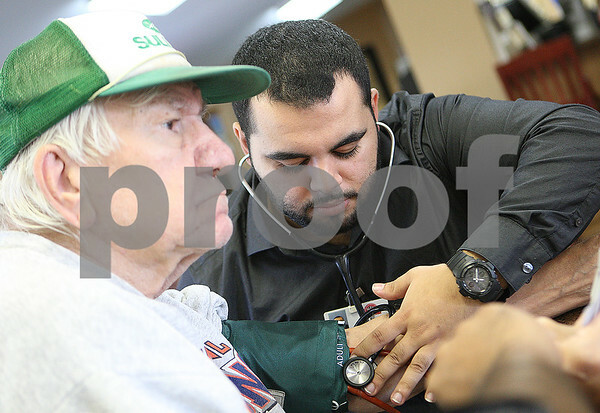 NIU nursing student volunteer Adam Hassan checks Tom Schroeder's blood pressure while he plays pinochle with his friends at the clubhouse of Sycamore Golf Club on Monday, October 20, 2014. Sycamore has no space for a senior center so they share space at the golf club. The Sycamore park referedum is part of the Sycamore Park District's Vision 2020.